What a start to the year we are having here at Howick Central Public School. My grade 7 and 8 classes are getting into the groove of the school year and have begun blogging! They have jumped in with two feet and we are continuing to grow and learn together. I wanted to give you a little glimpse into one aspect of our blogging community. Everyday we have our Language “Bell Work” and they have a different activity that deals with multiple areas in Language. On Mondays we look at Literary Devices and we have began to create a list with examples in our google drive! The most recent one was the Analogy and we watched 2 different clips. One being President Obama talking about the economy and comparing it to getting your car stuck in the ditch. The second was on Cyberbullying and using a “virus” as the analogy (see below for the video). This is the one that I am not 100% sure how I am going to get it into our blogging life but it is an essential to our reading and writing so is a staple in our learning. Tuesdays are my most favourite day of the week. 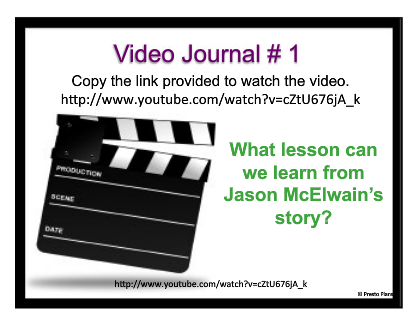 If you ask any of my students or my teaching partners they will tell you how much I love Video Journal Tuesdays. Each week we watch a given youtube video and then the students answer a given question related to the video. Once they have the question answered they have to video themselves answering the question. I love seeing what the students have been coming up with and I wait in google some nights just to see what they will come up with. The best part of these for me is that this activity is very inclusive. Even my identified students who have trouble communicating, at times, can watch the video and give a response that is at their level. Sometimes their question will change a little but the idea is still there behind the response. I have attached a question and a student example for you to see! * Have I told you how much I love these? Again I just LOVE Tuesdays! Wednesdays are What If? days. The students are given a question and they log into todaysmeet (www.todaysmeet.com) and they begin a conversation with each other. This has potential to move into the blog but at this moment in time we are using it for class discussion. Thursdays are another fun day as we tackle a Quote of the Week. Students are given a quote, and they have to explain it in their own words and then apply it to life. If you have read the book Wonder by R J. Palaci, this activity is very similar to Mr.Brown’s Monthly Percepts. It gives students the opportunity to dig deeper and learn some life lessons from these quotes. Finally, Social Media Slip Ups happen on Friday. These are our weekly grammar lessons. Students have to correct the twitter/facebook status with proper spelling, and grammar. They use the app explain everything for this as it allows them to type over and explain their thinking. Here is an example of what a SMSU looks like. 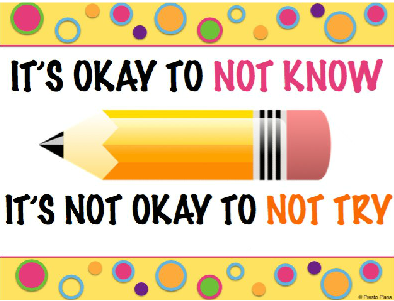 We are just getting into the swing of things with blogging but have some unique and fun things to create a positive digital footprint while bringing in some really Rich tasks that the students are really buying into. I know you are thinking Nicole you must put so many hours into planning all this and several cups of coffee. Well I have a little secret. A) I don’t drink coffee I love tea and B) I was told about these awesome bell ringers that you can get off teachers pay teachers! It has been a life saver and such an amazing addition to my classroom! I hope that what you have read here has encouraged you to try something new in your daily practice. Thanks for joining me for a cup of Koffee!